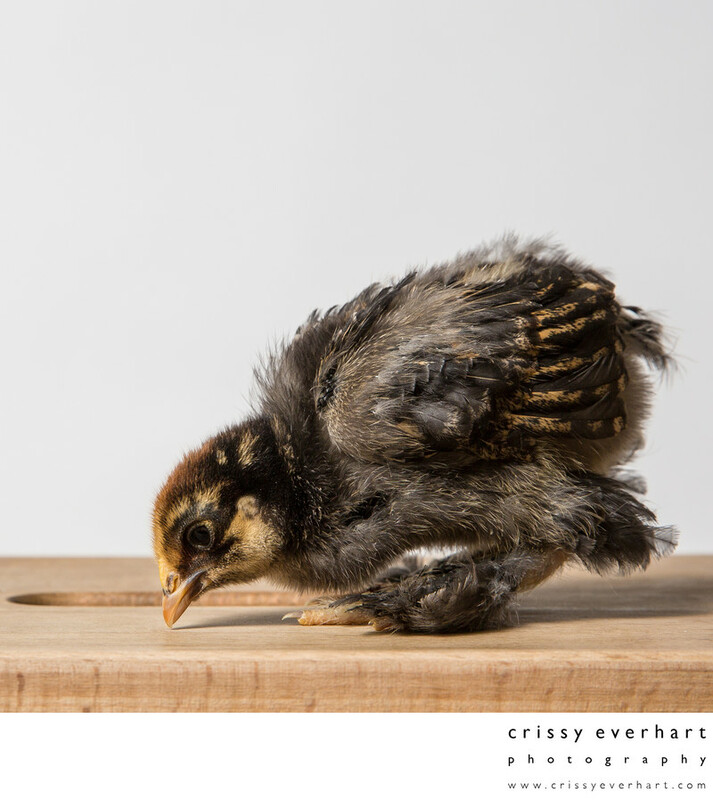 Cochin chickens have feathered legs and feet, so they're balls of fluff! Poppy, the two week old Cochin, pecks at a speck in the wood. She is getting lots of feathers!